This is a follow up to my earlier post “Gamification in Education“. My first semester at UTD I wrote a paper that was to create a new idea based on combining two existing ones. I was new to the Arts and Technology program hoping to do real estate based simulators but I had a strong interest in education as well. My wife and I had often talked about starting a hybrid Montessori school after seeing the TED Talk on Hole in the Wall education. I concurrently took the first offering of the Coursera Gamification MOOC offered by the University of Pennsylvania business school professor Kevin Werbach. I decided that the university experience could be gamified as well. In fact, I wasn’t the first to think of that but my implementation was significantly different. Here’s the paper if you’re interested in reading it (pdf, 13 pages, 216 KB). In a subsequent class I attempted to build out some of the infrastructure that could have supported the implementation. I used BuddyPress for WordPress. I then hired a contractor in India to create a plugin for me to complete the functionality. I wrote out the specs and detailed exactly what I wanted to do. Turns out I made a big mistake hiring the cheapest bid. His English wasn’t all that great and he wasn’t able to do what he said he would after all. So I learned a good lesson about outsourcing. 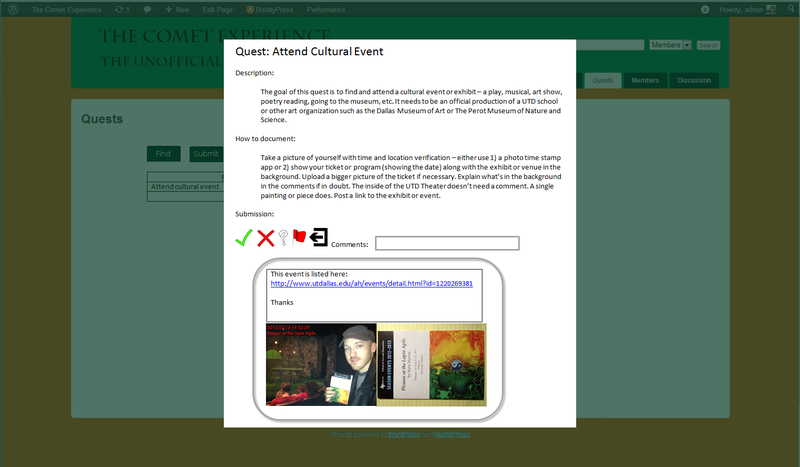 Here was one of my mockups on the left (completing a quest that required attendance at a cultural event). 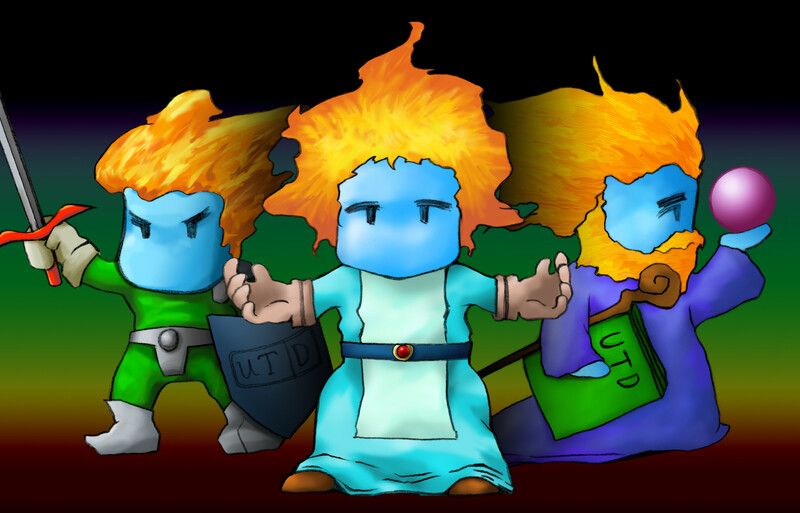 Another friend in the class agreed to do some concept art for the game. I worked with her to make quest-like versions of our school mascot, Temoc (Comet backwards). The composite of those follow below. I think this is still a valid idea. Hopefully someone will pick it up someday.